Savvy Spending: Amazon: Sable 10 Tier Shoe Rack for just $19.98! Holds 50 pairs of shoes! 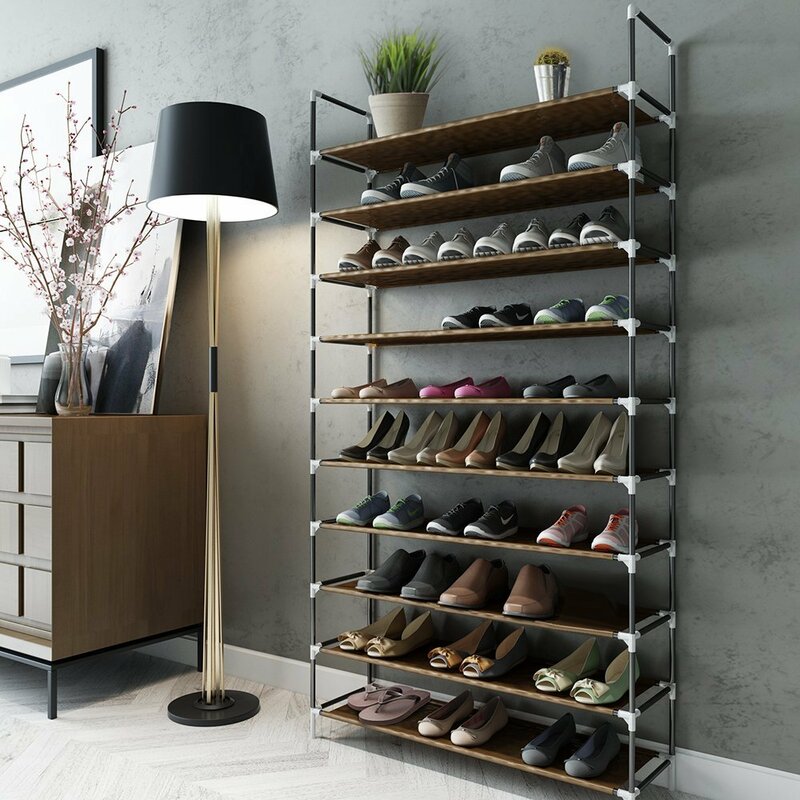 Amazon: Sable 10 Tier Shoe Rack for just $19.98! Holds 50 pairs of shoes! Looking to do some organizing? Amazon has this Sable 10 Tier Shoe Rack for only $19.98 shipped when you use promo code 4NNB3BB4 at checkout. This rack stores up to 50 pairs of shoes and can be built in multiple configurations to fit your needs. Each shelf has a waterproof tier that prevents water from filtering down to keep your shoes protected. The shelves can also be easily wiped off for cleaning.